BASIC EXTERIOR WASH – Hand prep with high pressure spray, conveyer, soft cloth/brushless wash, hand towel dry including door jams. 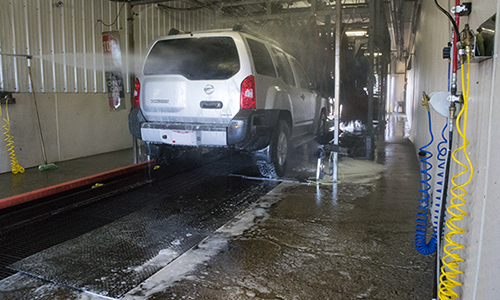 FULL SERVICE WASH – Hand prep with high pressure spray, conveyer, soft cloth/brushless wash, vacuum floors and seats, wash windows, hand towel dry including door jams. One Mat Washed – $2.00. Four Mats Washed – $5.00. • Plus applicable sales tax. • Prices will be quoted subject to soil and paint finish conditions. • Additional charges for vans, trucks and station wagons. • Special offers and prices subject to change without notice. Other oils available upon request. Prices may vary. 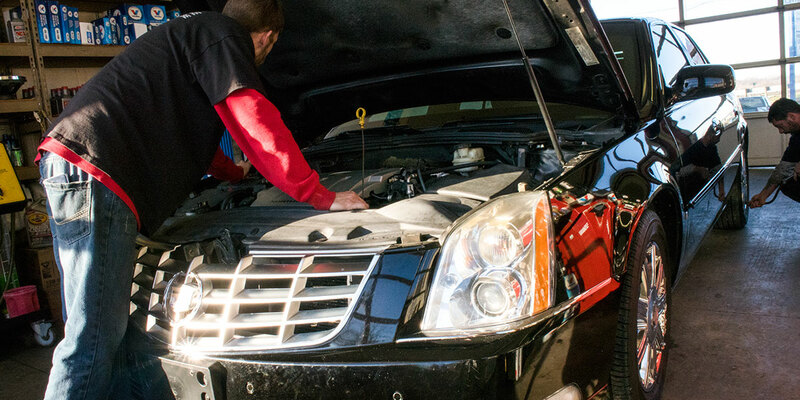 Basic Oil Change – 5 quarts of conventional oil, includes topping off fluids and checking and adjusting tire pressure. * Valvoline Instant Oil Change Offers are not accepted. Air Conditioning Services – COMING SOON! Buy 5 Gift Certificates for ANY SERVICE, get 1 FREE for the same service. 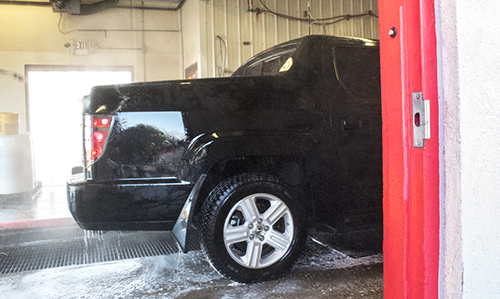 REWASH OPTION – Come in 4 days or less after your last regular priced wash service and get $5.00 OFF any wash service. *Receipt from last wash is required for the discount. National Fleet Accounts accepted, such as: ARI, Donlen Fleet, Enterprise, Voyager, GE Fleet, and more! In-house charge accounts are also available for businesses. The custom package of services are generally pre-established by management to increase the efficiency of individual visits for drivers. Call for more information. NO APPOINTMENTS NEEDED. WE CAN SERVICE ANY VEHICLE THAT WILL FIT THROUGH THE 12′ x 12′ DOOR. Q: If the wash is closed on the final day of the rewash offer, is the offer extended to the next open day? Q: How big of a vehicle will fit through the car wash? Q: Do I need an appointment for an oil change? A: No. First come, first serve. Q: Do I need an appointment for a detailing service? A: Yes, at least one day in advance. Q: Is Fast Lane open on holidays? A: We are closed on Christmas, New Year’s Day, Thanksgiving, Memorial Day, Fourth of July, and Labor Day. We close at 4:00 p.m. on Christmas Eve and New Year’s Eve. 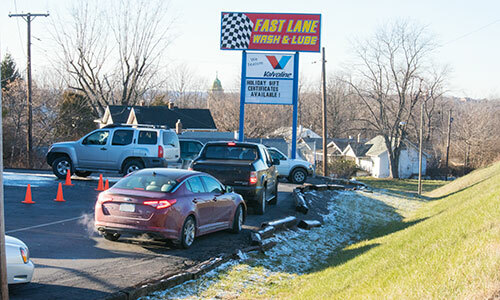 The service you receive at Fast Lane is superior because we are more than a machine. Personal attention is given to every vehicle that arrives. 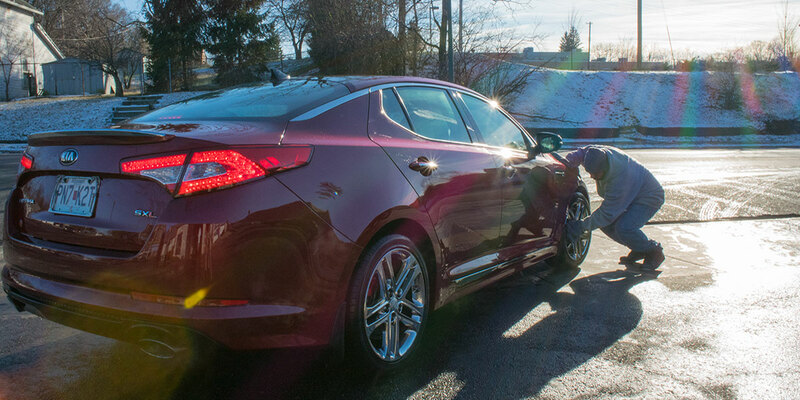 We provide full service, in and out wash and light maintenance services, and you will notice the difference when you compare the before and after. 1980: Overpass Car & Van Wash was opened by owner, Lawrence Green. 1982: Current owner, John Cotter was hired. 1983: John became the manager of Overpass Car & Van Wash.
1991: John purchased Overpass Car & Van Wash.
1999: Overpass Car & Van Wash officially became Fast Lane Wash & Lube in August. Monday – Saturday: 9:00 a.m – 6:00 p.m. Sunday: 9:00 a.m – 4:00 p.m.